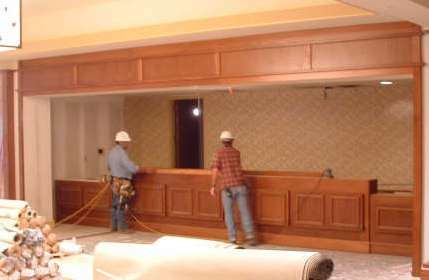 Wingate Architectural Millwork Company has been producing quality custom millwork since 1996. Throughout every step of every project, Wingate Architectural Millwork Company strives to accommodate our clientele above and beyond our competitors, and no job is complete until the delivery and installation of every last piece is finished. We work directly with contractors on-site to ensure that our custom millwork and casework products are successfully integrated into every project with minimal interruption to other workers. Our highly skilled specialists have the field experience and industry knowledge to complete all the finishing touches necessary for a successful installation.